John 4:23 But the hour is coming, and now is,when the true worshippers shall worship the Father in spirit and in truth: for the Father seeks such to worship him. The past couple of months have been like a whirlwind in our life and ministry here! Doug has stepped in as area youth leader for the Vida Nueva churches, our weekly Bible study continues in Las Glorias, parenting and children's classes are finishing up in Tamazula and we've been helping with music at a new fellowship which has begun in the village of El Serrano. We wanted to send out a brief letter to let you all know what's going on with us and ask for your prayers for an event we're doing this weekend. “Desde el Interior” (The Heart of Worship) is the name of the first annual youth worship conference/retreat being held in our village this weekend. The focus is unity in the Body of Christ and true worship which flows naturally from the heart. We have nearly 80 people signed up to stay the weekend, and they’ll begin arriving today at about 5pm. We covet your prayers! Please pray for this weekend! • For the ladies who will be working in the kitchen – that there would be unity and peace there as well! 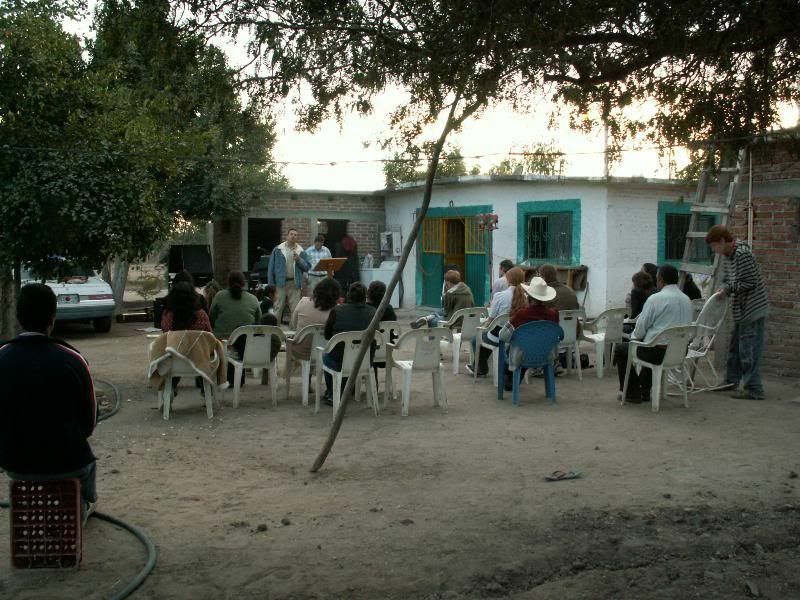 This photo was taken at a worship service in El Serrano, a small village about 2 hours from our home. We’ve been helping the Iglesia Vida Nueva plant a church there. The Church meets outside behind one of the brother’s houses, since there is no church building available in the village.